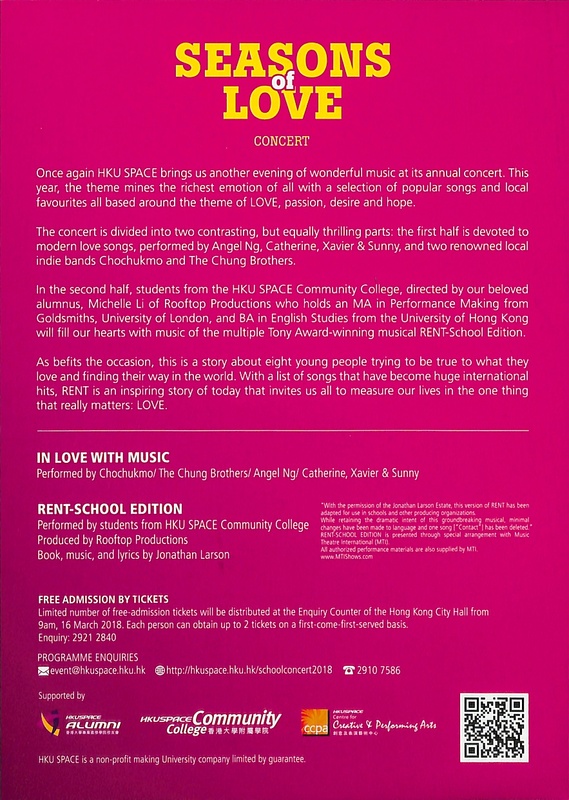 Once again HKU SPACE brings us another evening of wonderful music at its annual concert. 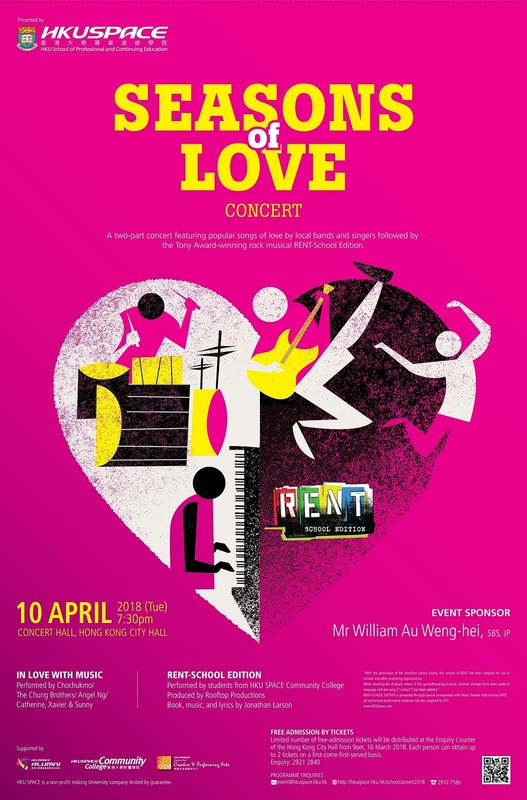 This year, the theme mines the richest emotion of all with a selection of popular songs and local favourites all based around the theme of LOVE, passion, desire and hope. 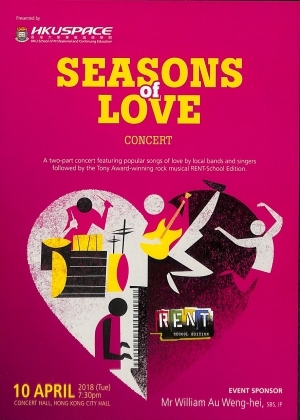 The concert is divided into two contrasting, but equally thrilling parts: the first half is devoted to modern love songs, performed by Angel Ng, Catherine, Xavier & Sunny, and two renowned local indie bands Chochukmo and The Chung Brothers. 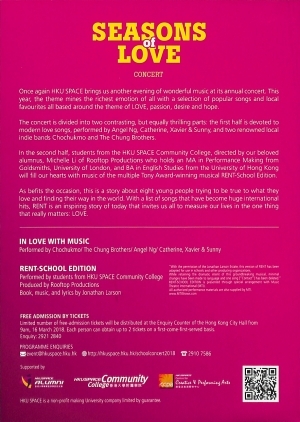 In the second half, students from the HKU SPACE Community College, directed by our beloved alumni, Michelle Li of Rooftop Productions who holds an MA in Performance Making from Goldsmiths, University of London, and BA in English Studies from the University of Hong Kong will fill our hearts with music of the multiple Tony Award-winning musical RENT-School Edition.